We are privileged to be a source of inspiration to others. May the stories below inspire you to engage in business while also doing good. 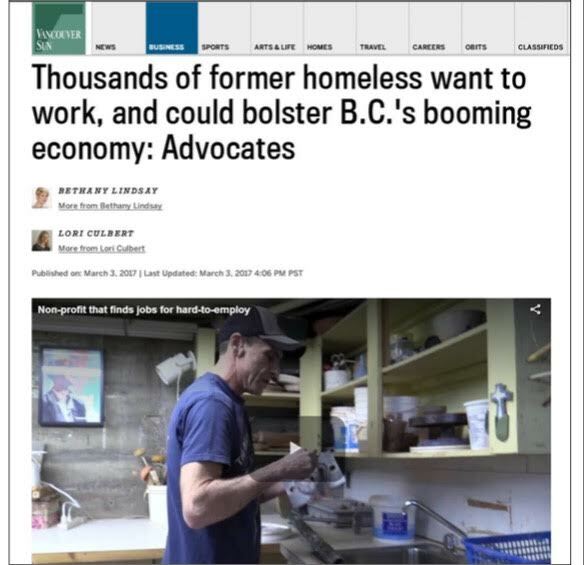 We are pleased to be featured together with Streetohome Foundation in the above-titled article published on March 3, 2017 in The Vancouver Sun and The Province. We are especially proud of our featured employees, Todd and Danielle - who so openly shared their stories and how being a part of our team positively impacts their lives. Click here to see the article in the Vancouver Sun. We invite you to read a great pair of articles about JustWork, and one of our JustPotters employees. Todd shares his story from homelessness to stability, and Ivan tells JustWork's story of the transformative nature of supported employment. 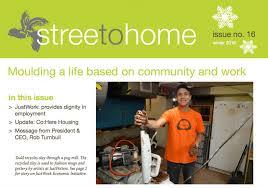 The articles are posted in the Streetohome winter newsletter. Streetohome aims to tackle the problem off homelessness in Vancouver by creating safe, affordable, supportive housing for those on the streets. Read more in the Streetohome winter newsletter from December, 2016. Terrain Online Blog/Magazine published an interview with JustPotters staff. Check out this 2011 blog entry. ES3 Insurance, a downtown Vancouver company, committed to partnering with JustWork in 2010, providing both financial donations and volunteer time from their staff. The magazine Business in Vancouver later ran an article on corporate giving, including comments about ES3 and JustWork. 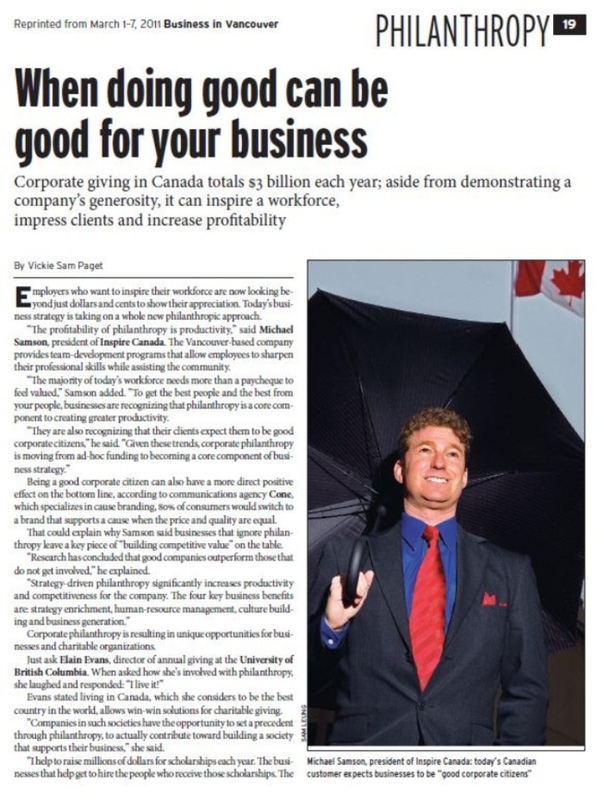 Read the full story in the March 2011 philanthropy section of Business in Vancouver.